U.S. giant Exxon Mobil and European rival Royal Dutch/Shell prepared brochures for oil buyers detailing various U.S. crude grades and why they were suitable to replace part of Asia's long-standing supplies from the Middle East, Africa and Russia. 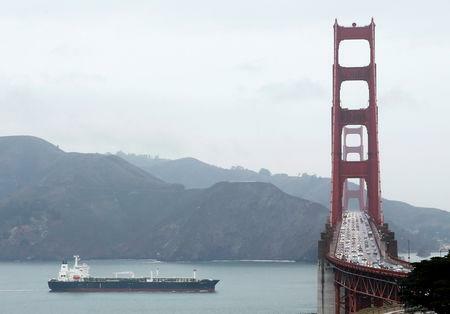 Only a few years ago, before the hydro-fracking and shale revolution overturned the economics of U.S. oil production, the United States was the world's largest oil importer by far and prohibited exports of oil by law. "U.S. crude is a real headache. It puts a lot of pressure on regional light grades. 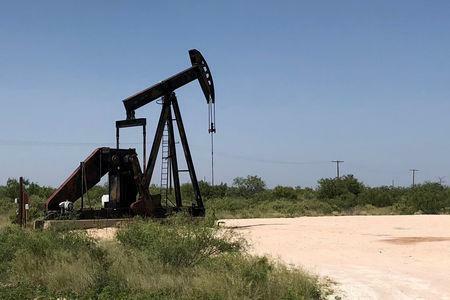 In fact, prices for all grades are affected because it is such a significant extra supply," said a trader with a European trader selling Russian oil. "Welcome to the free market," said a U.S.-based executive of an international trading firm. "Local producers either need to drop their pricing to compete or find other markets". "WTI is the new dated Brent," said a senior crude trader referring to the U.S and European benchmarks. BP takes U.S. oil to its Gelsenkirchen refinery in Germany while Poland's PKN Orlen said in January it would cut Russia's Urals purchases from Kremlin oil major Rosneft by 30 percent and partially replace it with U.S. barrels. In Britain, the main U.S. oil buyers are Essar Oil and Exxon Mobil, traders said. In the Mediterranean, buyers of U.S. barrels - Italy, Spain, France - tend to use them to replace light Caspian CPC Blend, Russia's Urals and Iranian oil, traders said. Greece's Hellenic Petroleum added WTI to its list of preferred crude options alongside Urals and CPC as did Turkey's Tupras. In Italy, U.S. oil flows to Kuwait Petroleum's Milazzo refinery and the Swiss Varo Energy's plant. "I expect U.S. crude to become even more popular in Europe. It seems that whatever is happening to oil markets these days, the U.S. benefits," said a trader with large European major.